The 14th of February can often seem daunting, particularly when it comes to finding the perfect gift for your loved one. True romance is about sharing meaningful moments with one another and what better way to do that then by exploring some of the most romantic destinations the world has to offer. If you want to try something a little different this year, then why not ditch the cliché gifts for a romantic weekend getaway that’s sure to create memories that will last forever. Rome and romance go hand in hand and you most certainly don’t have to be a historian or artist to appreciate the picturesque architecture that makes up Rome. Not forgetting the delicious food scene where you can taste some of the best pizzas in the world. Whether it’s skipping down the Spanish steps or holding hands over a candlelit dinner in the remains of an ancient stadium, this charming City really will have you feeling like you are on set of a movie. Reserve a table for two at Aroma, a luxury Michelin starred restaurant that is regarded as one of the best and romantic places to eat in Rome. The terrace lounge overlooks the breathtaking panoramic views of the Coliseum where you can enjoy a menu of traditional Italian cooking whilst sipping on quality wine, or a cocktail or two (or three). This is the perfect city for a short romantic break for two. From fine dining to tranquil walks, you can make your stay in this Scottish city truly memorable. Treat your loved one to a stay in one of Edinburgh’s most prestigious of hotels, the Balmoral, for a true taste of romance or dine at what is considered as the most romantic restaurants in the city, The Witchery, lit by candlelight with a secret garden you and your partner can escape in. When making your booking, consider getting a room with a view for an added touch of romance. A room with a view is the perfect setting to gift your loved one with something a little more permanent than a box of chocolates or some flowers such as a set of designer lingerie for a cheeky yet stylish Valentine’s day gift that is sure to remind them of their perfect Valentine’s Day getaway. If you are after something a little different and a fan of whisky and cheese (who isn’t? ), you can learn how to match whisky perfectly with food and complex flavours whilst enjoying some fun one-on-one time with your loved one. This is also the perfect first date and keeps things interesting. Situated in the Whisky Rooms in the old town, this historical restaurant is elegantly yet traditionally decorated to give you a true taste of Edinburgh. The evergreen quality of Amsterdam is that it is beautiful all year round, no matter what time of day it is. Amsterdam by night however is sure to put you in the romantic mood all by itself as the warm bridge lights reflect onto the canals, the perfect setting for a romantic stroll along the cobbled ways whilst sharing the decadence of its delicious street food. For the perfect Valentine’s day treat, hire a private boat and guide to cruise the canals whilst sipping on champagne. You can also enjoy a private dinner for two as you enjoy the stunning views from the water. If travelling by boat isn’t your thing, then why not tour Amsterdam by horse and carriage. Not only is this a romantic way of snuggling close to your loved one under a canopy that shields you from both sun and rain, but it is also a great way of resting your tired feet. Although this may seem like an obvious choice, and perhaps slightly too cliché, you can’t go without mentioning Paris when it comes to a Valentine’s Day getaway. The city of love offers an endless list of things to do with your loved one for a truly romantic Valentine’s Day. The city is home to almost 100 Michelin starred restaurants, so you can splurge on a gourmet meal for two and enjoy some of France’s finest cuisines. 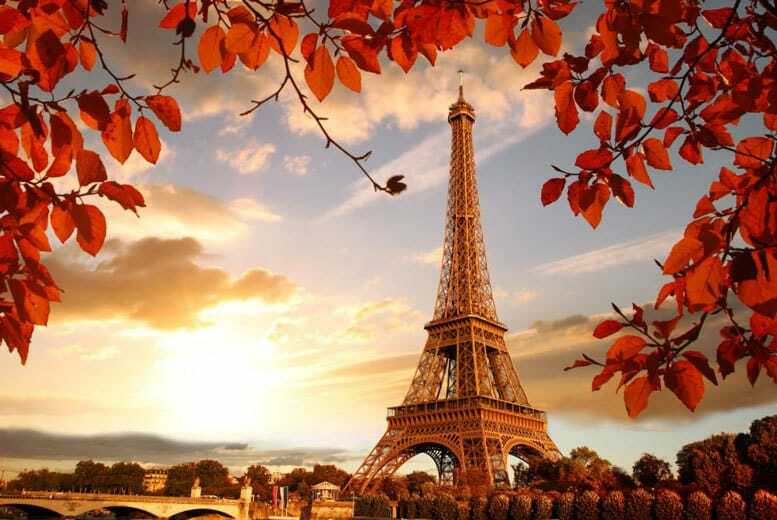 Or, enjoy a 4-course meal from the top of the Eiffel Tower that overlooks the city in all it’s beauty. If you fancy something a little more low-key, why not surprise your loved one with a picnic at one of the many beautiful parks Paris has to offer. Jardins de Mademoiselle Hôtel and Spa is the perfect choice for those that are interested in romance and offers a variety of spa treatments such as massages and facials for couples to relax and enjoy together. The hotel overlooks the Paris skyline where you can see the Eiffel tower in all its beautiful glory. If you want to capture these memories to replay time and time again, it is worth doing some holiday video editing or getting someone else to help! There is no bad time to visit Prague, especially if it is for a romantic weekend for two. Although Prague has taken a hammering from rampaging stag parties, don’t let this put you off. Prague is actually full of romantic things to do with your loved one with beautiful architecture and an abundance of underground bars and firelit restaurants that are sure to impress your partner. For a luxurious stay only moments away from the Charles Bridge and Prague Castle, the Augustine hotel offers a 5-star service with fine décor, a panoramic view of the City and a stunning cocktail bar that features 19th-century frescoes for a true, alcoholic taste of culture.